I love heading outdoors when it is sunny. I mean, who likes to stay cooped up in the house! Like they say, you should go out and enjoy the sunshine when you can. Even animals love to sun bathe. I laugh out loud every time my dogs move to the window seat when the sun comes out. However, I am sure that you know that the sun is good for you only if it is in a limited quantity, because UV rays from the sun can actually harm you. Over exposure is bad for not only your skin, but even your eyes! Well, to protect your eyes from UV rays, there are always sunglasses that help cut back some of the UV rays, but I mean a lot of activities in our daily exposes us to UV rays, and it is impossible to cut back all UV rays, so what can you do to keep your eyes nice and healthy? For this, there’s always eye drops that help repair the damage caused by UV rays. 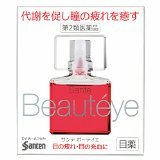 Continue reading for a brief explanation about UV care eye drops and also for information about the top favorite Made in Japan UV care eye drops. So what is the difference between your normal eye drop, and eye drops that protect your eyes from UV rays? UV care eye drops don’t actually cut back the about UV ray you are exposed to, it contains a component that helps repair the damage tissues that over exposure to UV rays cause to your eyes. Hence, I would highly recommend those people who love outdoor activities to have a bottle of UV ray care eye drops around you at all times because we are not only exposed to UV rays during the summer. Exposing your eyes to bright things, even snow, can cause damages to your eyes. So which UV care eye drops on the market works the best?? The top rated UV care eye drops are below. This eye drop contains the component Chlorpheniramine maleate, and antihistamine used to treat allergies. Hence, this eye drop is highly recommended for people who love the beach and marine activities, as the water is not necessary clean, and your eyes may get contaminated. This eye drop unique factor is that it has the same astringent effect as herbal medicine, and it has an anti-inflammation component, gently healing the damaged tissues in the eye due to over exposure to UV rays. 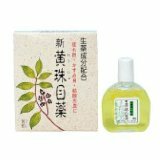 This eye drop is composed of natural remedies, so feel at easy when you use this eye drop! This is one of the best eye drop medications. It helps speed up the metabolism of the eye, speeding up recovery of damaged tissue from UV rays, and providing the eye with the necessary nutrients to function properly, and help relief the fatigue do to overusing your eyes.